The Magnificent Seven DVD and Blu-ray release date was set for December 20, 2016 and available on Digital HD from Amazon Video and iTunes on December 6, 2016. Akira Kurosawa's 1954 classic Seven Samurai film has influenced an entire generation of filmmakers. 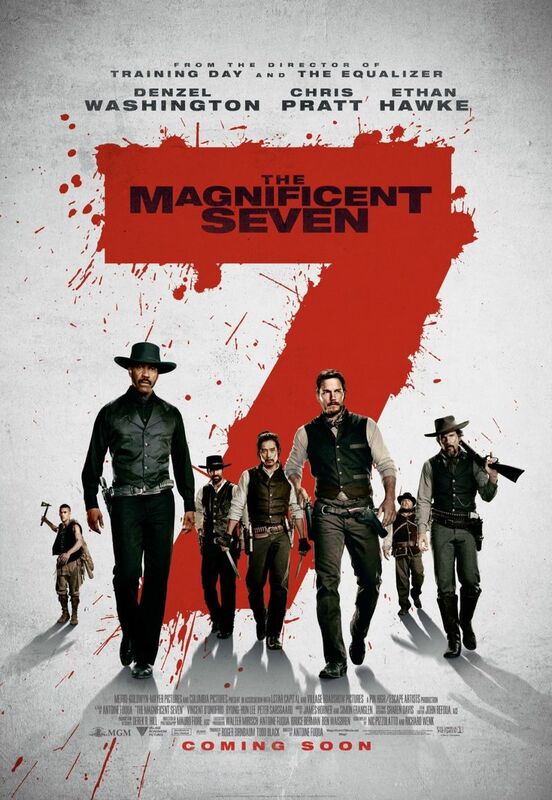 Based on a Japanese story of farmers defended by local samurai, the film lead to the creation of one of the greatest American Old West films: The Magnificent Seven. Antoine Fuqua's modern retelling of this well-known story depicts desperate townspeople hiring seven mercenaries to protect them from a greedy, deadly despot. Yet, this group of men that includes hired guns, a bounty hunter, a gambler, an assassin, an outlaw and a sharpshooter soon discover that money is not the most important reason to join the fight.